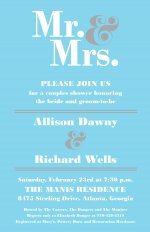 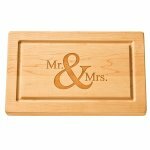 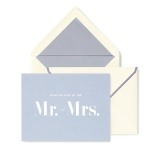 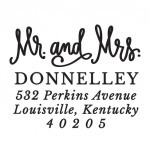 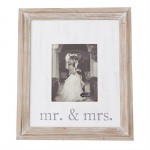 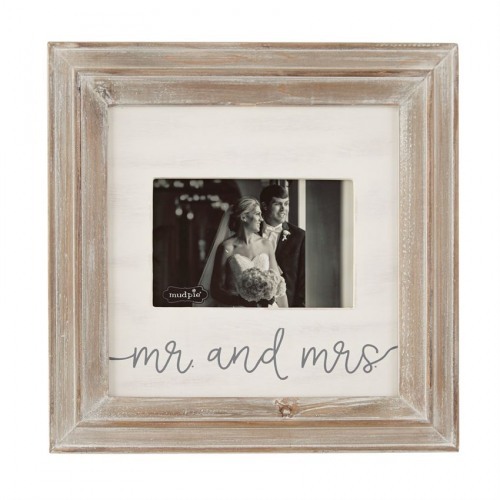 Small beveled wooden frame with white distressing with white mat with the phrase "mr. & mrs." printed in a whimisical gray script. 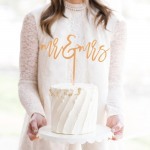 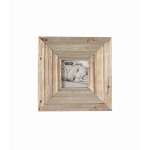 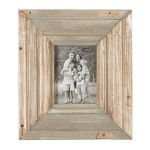 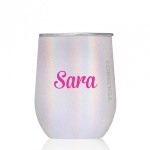 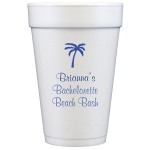 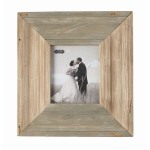 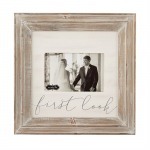 It's the perfect frame for wedding photo with festive styling that will work with any decor. 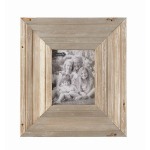 Picture frame can hang on the wall using the sawtooth or stand on a desk using the included easel. 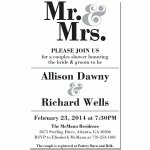 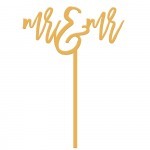 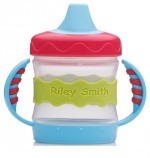 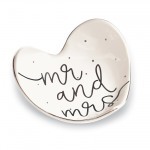 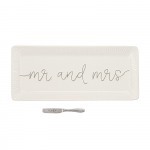 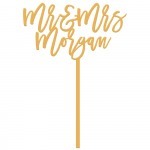 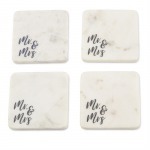 Peel & Stick Switchable Round Stamper - Mr. and Mrs.
Stationery - Mr. and Mrs.